KAIST provides world-class engineering education and research environment, placing 15th in the division of engineering and IT in the 2018 QS World University Rankings. Through constant innovation, the university strives to make a leap forward toward its goal of joining the list of "The World's Top 10 Research-oriented Universities." KAIST has recently reorganized its academic programs in an effort to pursue greater excellence in education and research in the field of engineering, moving beyond the boundaries of disciplines and departments. As of April 2018, the College of Engineering encompasses 3 large-scale schools (the School of Mechanical and Aerospace Engineering, the School of Electrical Engineering, and the School of Computing), 6 additional graduate schools, and 10 departments. With 365 full-time faculty members and 7,144 students, KAIST has emerged as the nation's largest research institute. The College of Engineering accounts for 59% and 60% of the total number of KAIST faculty and students, respectively. 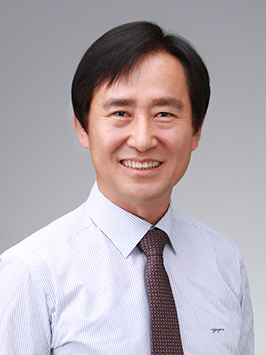 Through reorganization, KAIST intends to help undergraduate students acquire a broad range of knowledge based on their areas of focus, while the emphasis in graduate and Ph.D programs will be placed on offering in-depth interdisciplinary education in accordance with the academic foundation. KAIST aims to realize "π-type engineering education" with two vertical axes, which are in-depth expertise and advanced major education through a mandatory minor program, and one horizontal axis, which is a broad range of basic knowledge.